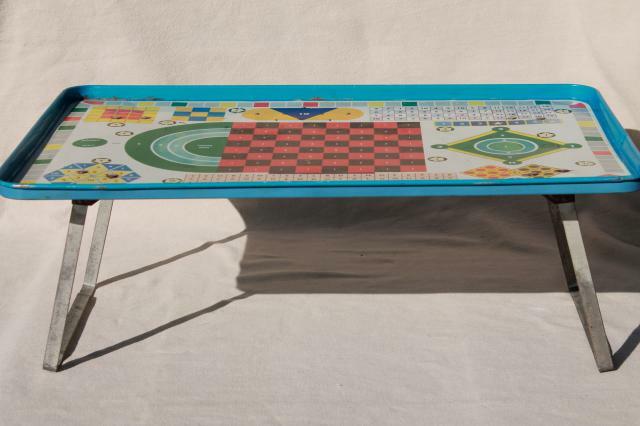 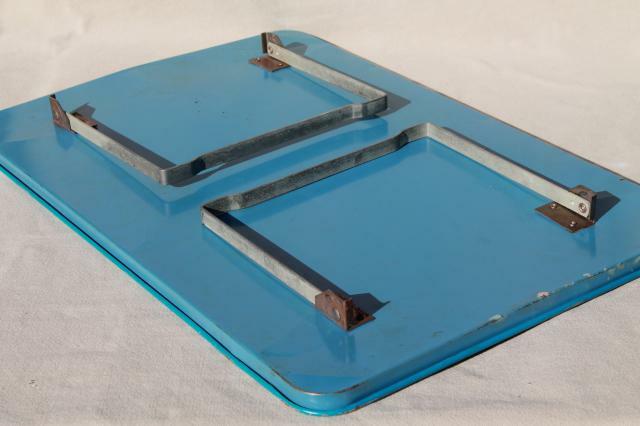 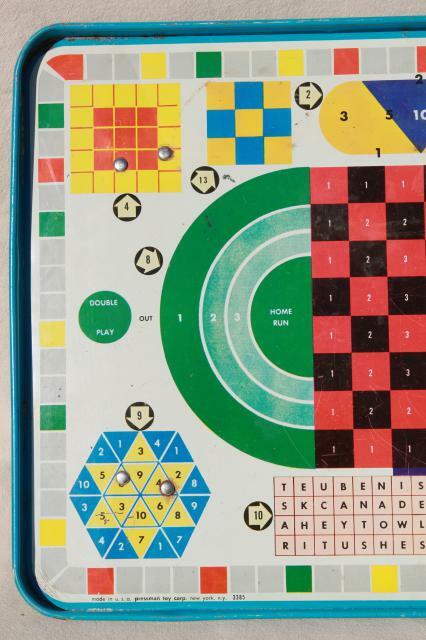 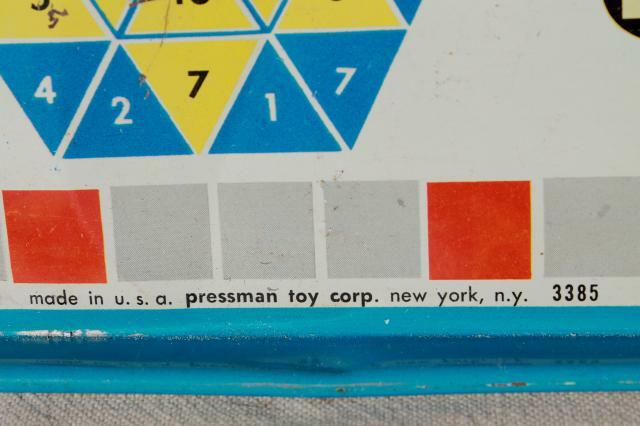 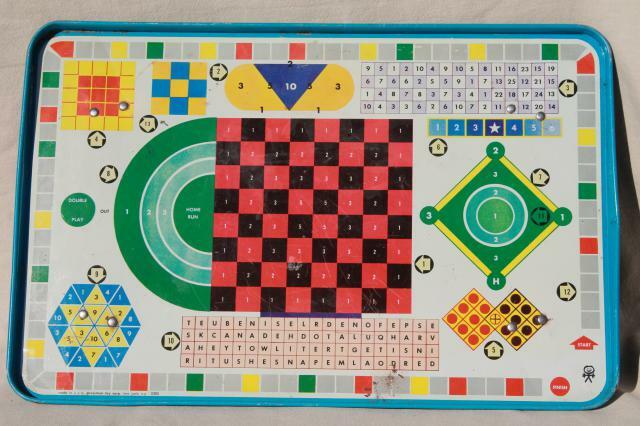 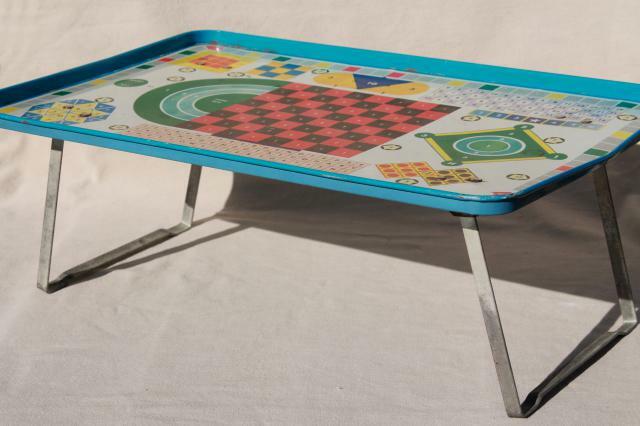 1960s vintage Pressman all metal folding lap tray with game boards print for travel games or sick days in bed. 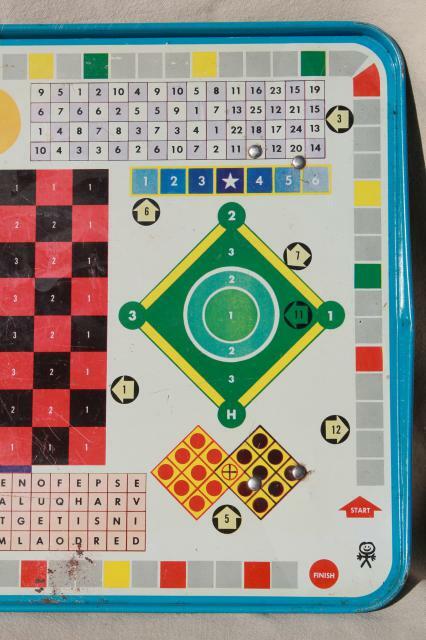 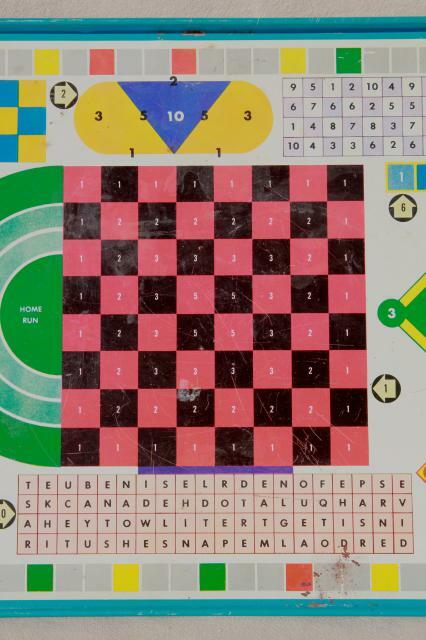 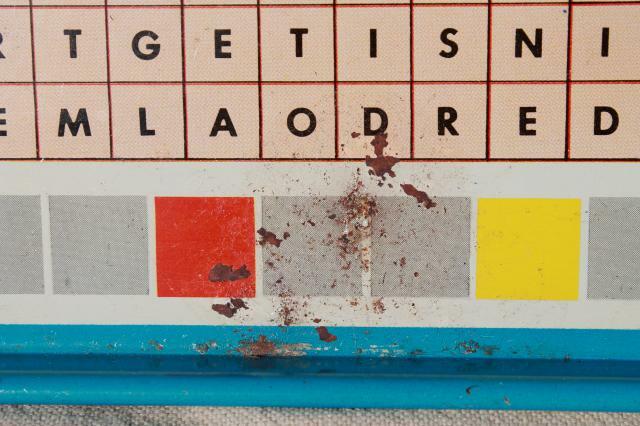 We have no game pieces for this tray, and it's seen some wear. 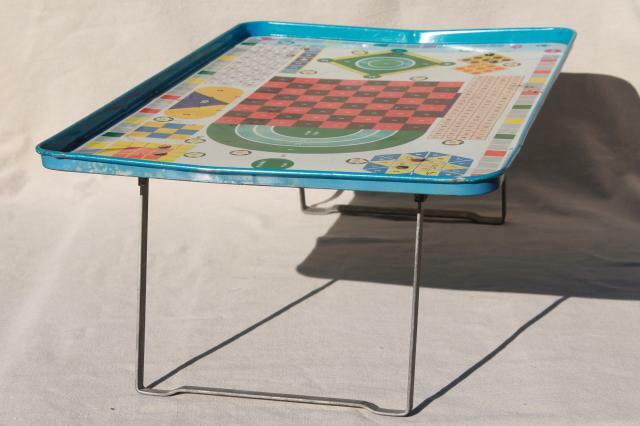 But it's cute and bright and cheerful still! 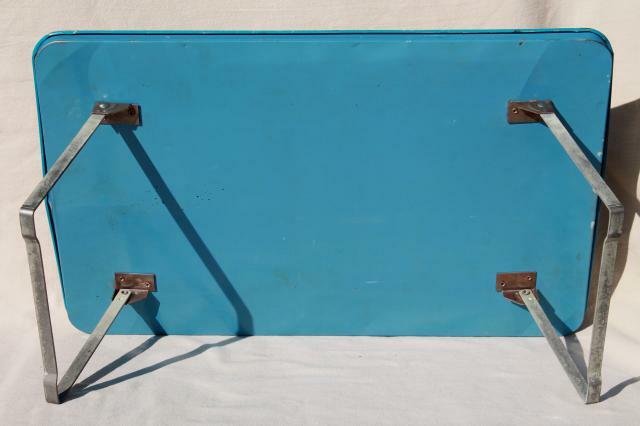 Measures 20 1/2" x 13 1/2" over the tray top.